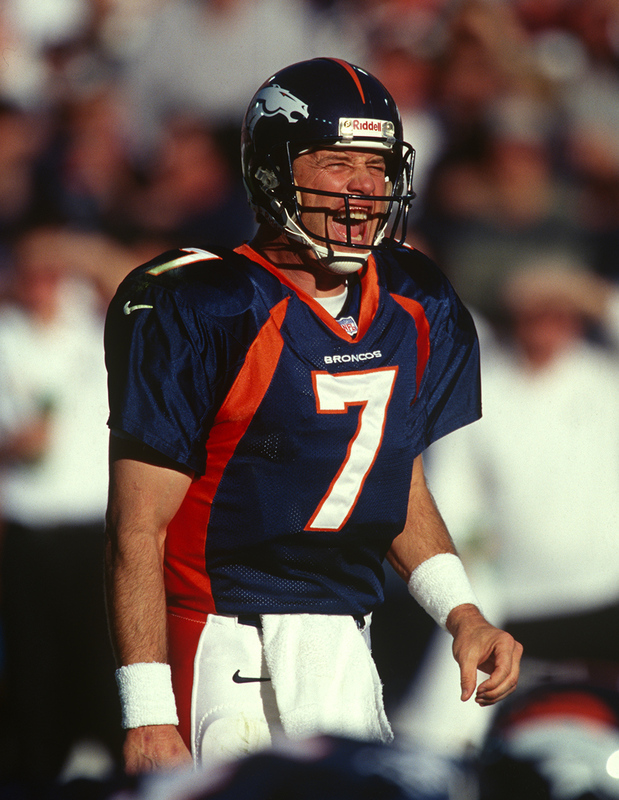 Denver Broncos Hall of Fame quarterback John Elway (7) looks over the defense during an NFL game against the Oakland Raiders at Mile High Stadium on November 22, 1998. Broncos quarterback John Elway becomes just the second player in NFL history to compile 50,000 yards passing during a career, joining Miami’s Dan Marino. Elway reaches the plateau on a 5-yard completion to wide receiver Willie Green in the first quarter of a 40-14 win over Oakland at Mile High Stadium.